It was a special event organised by the members of National HRD network. 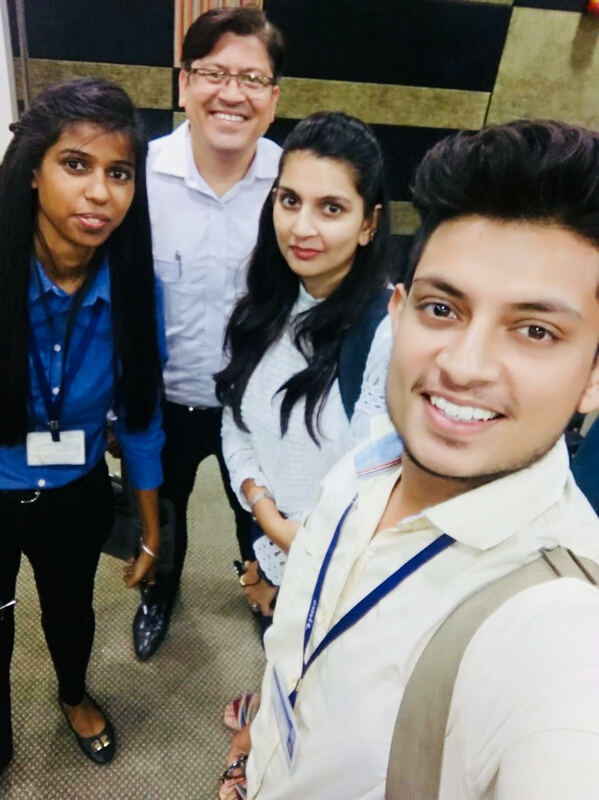 The speakers included Ms Monika Garg, Corporate HR & C&B Manager Fresenius Medical Care, India; Mr Gaurav Bal, Compensation & Benefits Leader, GE; Mr Gunjan Rai, Head of Reward, RBS, India; Mr Partha Neog, CEO & Cofounder, Vantage Circle. The panel was moderated by Dr Aquil Busrai, Chief Executive Officer, Aquil Busrai Consulting. They talked about the recent trends, technologies, problems and their solutions, all involved in the topic of compensation and benefits in the field of human resource development and research. Mr Gaurav Bal, talked upon how his company aims at retaining its employees using comp and ben strategies like providing free gym facilities, trips to some places, etc. and its impact on the bottom line of the company, i.e. the budget allocation for such activities are decided by keeping the profit in mind. Ms Monika Garg gave live examples from her experiences, as she isa part of the medical industry. She maintained that the employees working in medical facilities require much more retention strategies because their work demands more energy as compared to other industries. The working hours for nurses and doctors may not be fixed as they may be required to handle an emergency case any time. They get exhausted. To keep them boosted and motivated more and more empowerment programs should be initiated. Mr Gunjan Rai stated that a compensation for an employee might not be a benefit for the company. It may affect the bottom line in many ways. For instance, a company allowing its female employee to take a 3 month break or more due to her marriage or pregnancy, to retain and empower her the company may employee counselling programs for pregnant women, maternal guidance and diet programs from her office. All this to retain an employee, the cost now is doubled or may be tripled, the company is not sure whether she would be able to work after her marriage or after giving birth. And by the time she off office, the productivity required from her end is lost. So, it becomes a sunk cost. The policies should be re valuated in such cases. Mr Partha Neog believes are medy for such cases can be keeping a real time motivation check on such unpredictability of employees. An awareness and check upon what the employee feels about working in the organisation. What his future plans are regarding working in the organisation, how, why and till when he would like to continue working for the organisation. He had many ideas and prospects in which he seemed very much confident. Dr Aquil Busrai moderated the panel while keeping a check on time, he was impressed by the ideas and trends that the panel shared. The best thing was the time coordination, at the beginning of the session he spoke for exact 15 minutes, he was able to do this by setting up a timer and an alarm. The same ritual was followed by all the members present on the panel. Dr Busrai also fired some of the questions on the panel from his own experiences in which he gave exactly 1 minute to each panel list to answer. It was fun and kept each and every audience engaged. After attending such special event, as an HRM student I believe that we have a way to go. A road to travel and a journey to enjoy. The place at which these panel lists were, is the place I want to be. To be able to inspire, educate, teach, and learn to and from the world around us. I would like to thanks our Dean Dr Pratima Daipuria and the whole of the JIMS Fraternity for giving us this opportunity to attendand learn from this event.